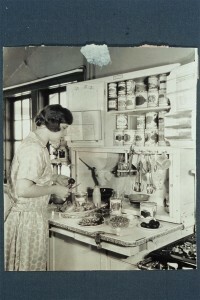 Until the past century, kitchens in the United States were generally places of oppression and isolation for women. Lacking modern technology and bound by domestic duty, women often spent hours in the kitchen, quite literally slaving over a hot stove. As time progressed, so did technology and the social expectations and standards set upon the American family. 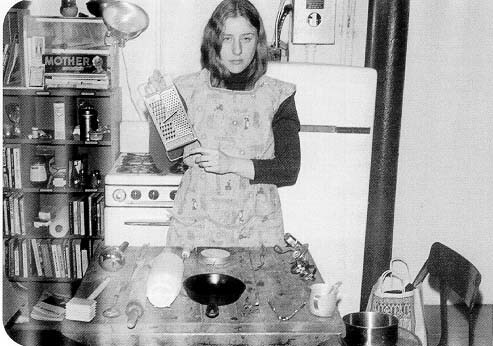 Mary Drake McFeely says in her book Can She Bake a Cherry Pie?, women have been “trapped in the kitchen by cultural demands (McFeely, 4). 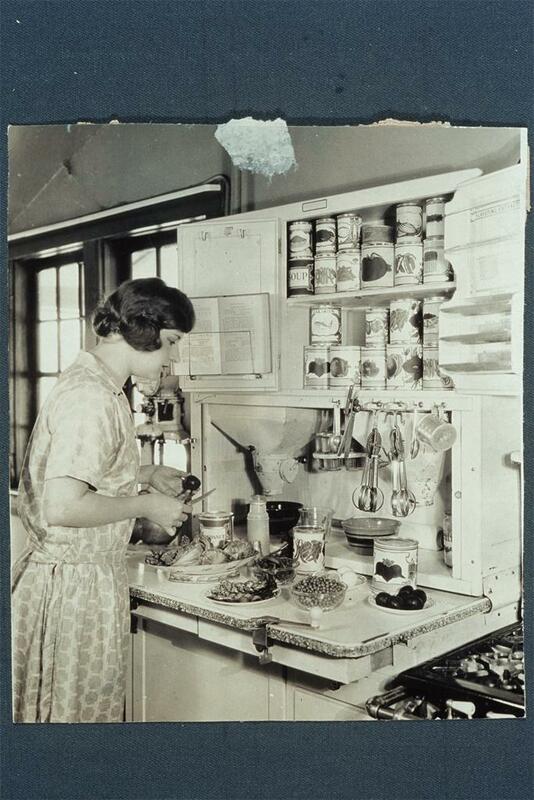 Women eventually began taking roles in the public sphere, working outside the home and getting paid for their labor, rather than finding themselves “tethered to the stove” (McFeely, 1). Women no longer need to spend hours making bread, but rather can run to the store to grab a pre-made loaf. 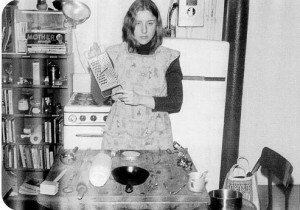 Still American women have strong ties to domesticity. Women have much of the control over the decisions about the home’s interior, the kitchenspace and the food production and purchasing. Technology has evolved to suit the changing needs of the American woman; appliance producers and designers as well as the food corporations took began to create products that facilitated easier, more manageable food production, making domestic life easier for women. This opened up a whole new world for women. These new technologies provided for more free time, which could be spent leisurely or working outside the home. Domesticity was no longer a requirement, but rather a choice, giving women the ability to freely navigate between the public and domestic spheres; women were empowered by this novel sense of mobility. Presently, a new wave of women (those who consider themselves feminists and those who do not) is reclaiming the kitchen as a space of creativity, indulgence and pleasure without the pressures of domesticity hovering over them. New networks have developed that support women’s renewed interest in the domestic; TV shows, books and magazines are available to help women tackle the casual desire for being domestic. The technological advances of the kitchen have undoubtedly liberated women. Mass produced foodstuffs as well as easy to use and efficient tools and appliances have made many of the kitchen duties less time consuming and tedious. The kitchen has become a place of personal expression and empowerment for women. Through the acquisition of state-of-the-art kitchen appliances and tools, as well as the personalized décor of the kitchen, serve as a means for women to exhibit their financial and cultural success. American women have found empowerment in material and technological gain as well as the reclaiming of the kitchenspace as a place of personal fulfillment, pleasure and comfort. 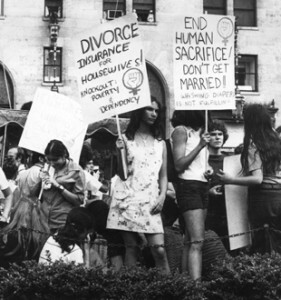 Women are able to embrace the traditional domestic activities and view the domestic sphere through a new feminist lens.